There has been a long talk about nuclear fusion as our main energy source for the future. But the talk has been going on long enough. Have you ever wondered why fusion reactors are not powering our homes right now? While the reasons are many, but it is mainly because we have to keep the hot plasma in a consistent ideal state for it to be able to generate electricity. Keeping the plasma intact in this state is very difficult. Which is why it is all the more impressive when KSTAR (Korean Superconducting Tokamak Advanced Research) managed to do it to some, if not all, extent. 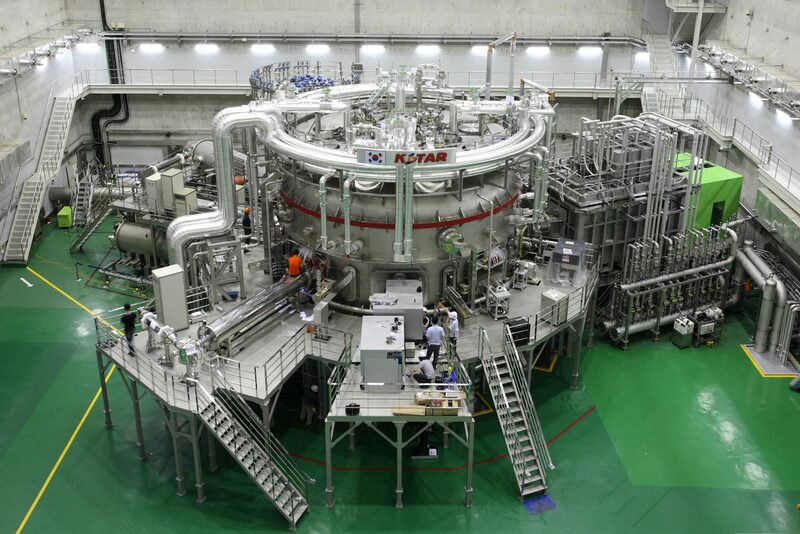 This South Korean reactor team claims that they have set an endurance record in operating “high performance” plasma. They managed to keep the plasma in the said ideal state for just 70 seconds but this in itself is huge step forward, as claimed by the National Fusion Research Institute. How was the short-lived feat achieved? This feat was achieved through a number of factors. First of all, the KSTAR team used a non-inductive mode and a high-power neural beam to reach the plasma. Secondly, they reduced the heat on the plasma facing part by rotating the 3D field. This was just one of the ways in which they were able to reduce heat on the plasma facing parts. The factor that contributes to the ground-breaking results of this feat the most is the development of the more practical mode, which would allow for higher pressures at comparatively lower temperatures. The fact that it lasted for 70 seconds is worthy of appraise considering how difficult it is to stabilize and keep plasma in an ideal state for the nuclear reaction. This minute success was enough to encourage the KSTAR scientists to develop a new reactor by the name of K-DEMO. The K-DEMO would demonstrate the advantages of steady-state fusion power. We still have a long way to go with these type of nuclear fusion reactors. This new development could be considered as a bit of a push towards cleaner, safer energy, and a much better replacement to our old nuclear reactors. After a series of further tests and experiments with the K-DEMO, we may finally be able to see results we were hoping for years ago. Fingers crossed for a cleaner energy future.